Fall or Autumn as I like to call it is one of the best times of the year. Not only are there beautiful weather changes with the cooler weather, but there are amazing natural sights like colorful trees and changes to our surroundings that can only be painted or created by mother nature. Still, it’s nice to try to get that inspiration in our homes with beautiful décor for the Autumn months inspired by leaves or getting that same Autumn inspiration by changing our wardrobes based on the colors like browns, golden-yellows, and beautiful deep reds. So why not also change our nails to be the best Autumn inspired nails they can be? It only makes sense and not just fashion sense but soul sense. 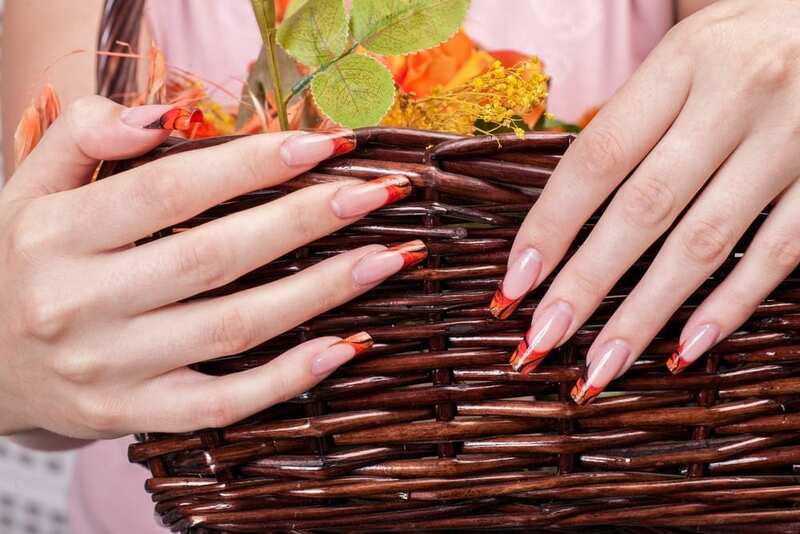 We tend to feel better about ourselves when we dress or make-up ourselves a certain way and to wrap your nails in the beauty of Autumn inspiration is one of the best ways to feel great this fall. So check out these amazing designs. Nails can be simple with just one simple coat across it. Much like a leaf that has a beautiful color on it your nails can be art that matches nature with one simple coat. One such color out this Autumn 2018 is Essie Fall for NYC. Inspired by the beautiful New York City nature during the Fall months this mustard-hued will give you the best New York City Autumn vibe. From Taxi cab to beautiful golden leaves that have just changed and fallen on the New York streets this polish has it all. Plus, it will go with every cute fall outfit you can imagine from jeans to leggings you can’t go wrong with Essie Fall for NYC nail polish. You can buy it from Ulta for just a stunning $9.00. Go here to buy it. If you’re looking for some bold and popular nail art that is up and coming this fall season already look no further than cherry art. Some people are painting cherries on their nails or others are using stick-on’s to get the clean cherry look. I’m not sure how this trend came about, but I do know that as of Autumn 2018 cherry nail art is back in style and going wild all over Instagram. You can hardly go to a nail art page without seeing cherries on vines or giant cherries on a nail. Perhaps because of the cherries beautiful red color, it draws inspiration from the fall trees. Either way, it’s a stunning look and I’m glad they are back in season (so-to-speak). Here is some great cherry nail art inspiration from different Instagram feeds. Another great pattern for Fall nail art is checkers. Checkers are really in this season. The inspiration for checkers comes from checked flannel shirts people wear to pumpkin patches or bonfires. One of the most popular color combos is orange and black. Which of course, is reminiscent of Halloween. However, you could mix the solid polishes from above the Essie Fall for NYC and the Cote No. 98 together in a checkered pattern for a more demure style. However, the choice is really up to you, but checks are super cute. Check out this Instagram model and her orange and black checks here. Gradient dots are another huge trend for this Autumn. Think of a minimalist design taken to the next level, but for nail art. That’s exactly what gradient dots are. People put a clear coat of nail polish on their nails then they pick different Fall inspired colors to put a dot on each finger. Literally just one small dot. Enough to accent your fingers, but never cover them in a big way. Popular colors for this are as follows: Purple, Magenta, Red, Orange, and White. However, you could really pick any colors (within reason) that you want and put a dot on each nail. For me, personally, I love the falling colorful leaves so I would choose brown, red, dark green, orange, golden yellow and a light grey for my dots. Either way, it’s a perfectly 2018 way for you to look fashionable and have beautiful trendy nails! Check out how the look is done here. No matter what nail art you decide on for this Autumn season you will look trendy and beautiful! The point is to enjoy what you’re wearing and make yourself feel special. Treat yourself, don’t trick yourself!